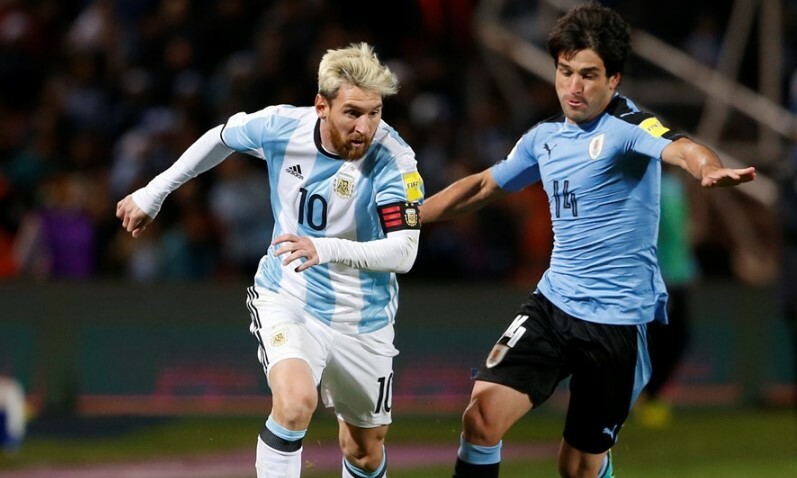 Uruguay and Argentina are facing each other again in the World Cup qualifier. Argentina won their first match against Uruguay in September 2016. Today’s match is the second game between each other in this World Cup 2018 qualifier round 1. Only the top four teams will get automatic qualification to the World Cup 2018. At present, Brazil qualified already who is standing at the first position in the table. Colombia, Uruguay, and Chile are the next three teams currently spotted in second, third, and fourth position. So, the last four matches of each team are very important to game for them to qualify directly for the World Cup. Argentina Playing 11: Romero, MERCADO, Fazio, Otamendi, Biglia, PIZARRO, Di María, Acuña, Messi, Dybala, Icardi. Uruguay Playing 11: Muslera; Cáceres, Giménez, Godin, Silva; Nandez, A. González, Vecino, C. Rodríguez; Suárez y Cavani. Coming to the match of Uruguay vs Argentina, it is an important game for both of them especially for Argentina who standing at the fifth position in their group out of ten. From the performance of both teams on recent days, Uruguay losing their matches when to compare with their good starting. So, it may help to the Argentina’s victory in this match. One of the hot news about this match is the return of Luis Suarez to his team after recovering from his recent knee injury around two weeks later. His presence to the Uruguay’s squad makes more strength to the team. Both of the team looking for their win to stay in the top four seats in the table to qualify. 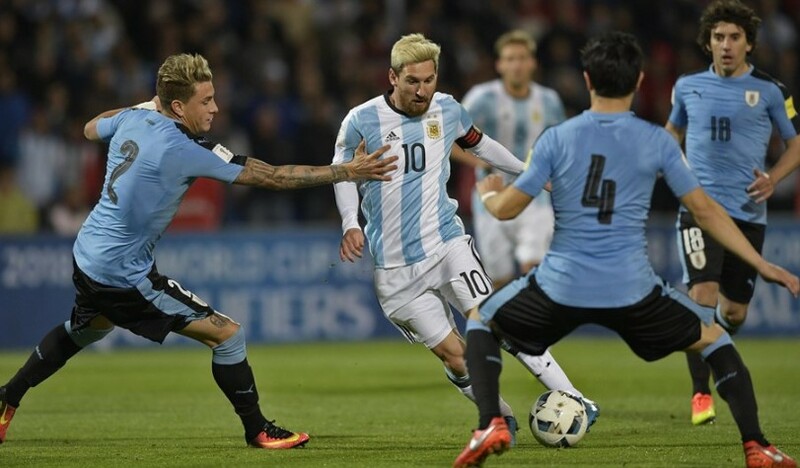 We all knew that it is difficult for Argentina to move up by defeating top teams. Though, the team having good world-class players like Lionel Messi, Paulo Dybala, Sergio Aguero and many others. If they played with their coordination, then they can able to beat any big national teams in this world. When looking at the back of World Cup Qualifier Round 1 of Uruguay. They lost five matches against Ecuador, Argentina, Chile, Brazil, and Peru. Also, they had two draws with the teams of Brazil and Colombia. All other seven matches are their winning matches. While Argentina had four losses and four draws out of their 14 matches so far. They gave the biggest disappointment to their fans when they lost their match against Bolivia and Ecuador. The unexpected losses by the Argentina national football team create their difficulties now at the end of the tournament. It is expected that the coach Jorge Sampaoli will come up with the different alternatives in the Argentina’s playing XI. Date and Time: The 15th match of Uruguay vs Argentina World Cup qualifiers is set to begin today on August 31st Thursday at 8 pm local time, 7 pm ET, 12 am BST, 08:30 am ACST (Friday) and 04:30 am IST (Friday). Venue: Estadio Centenario in Montevideo. Live TV and Online List: Tyc Sports Argentina, VTV Uruguay, Bein Sports USA, SuperSport3 Africa.